As always there are several different methods of duplicating a layer in Photoshop. You will normally have a preferred way of working in photoshop, so choose whichever way fits in with your current processes the best. There is no right and wrong way, there are in fact 6 ways! 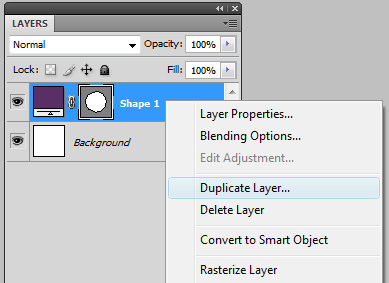 Please note: All the methods describe below involve having the layer that you want to duplicate selected in the layers palette as an initial step. 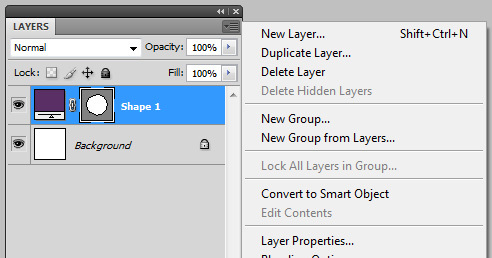 Right click the layer in the layers palette and choose duplicate layer from the drop down list that appears. Click the layer options (top right on the layers palette) and choose duplicate layer. Drag the layer onto the new layer icon at the bottom of the layers palette. With the marquee, lasso or crop tool selected right click the canvas and choose duplicate layer. Thank you very much, exactly what I was looking, the last topic! Thanks. Thanks a lot for the advice, really helpful!! Glad it helped. Thanks for your comments. To duplicate a layer on the PC, I use Alt + Cursor key on the selected layer, then nudge it back using the opposite cursor key. So if I use Alt + Cursor up, then I hit cursor down to put it back in the right place. It probably sounds long-winded but it’s now part of my natural workflow, so it seems a really quick way to do it. Just thought I would add it because it isn’t mentioned here. That’s great, thanks for adding your method. I wasn’t aware of that one.